Summary: F4 graduated from Ying De Xue Yuan. Dao Ming Si asked Shan Cai to go on vacation with him to Spain. Just before the trip, they had an argument, which made the trip become meaningless. F3 made/send Ah Si and Shan Cai to Spain, and Hua Ze Lei gave Ah Si an envelope with a "smart advice" in it. Dao Ming Si and Shan Cai's love had become inseparable during the trip. 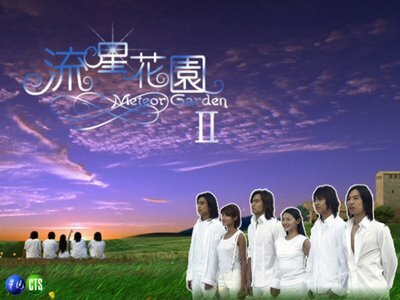 Ah Si opened the envelope, and the advice from Hua Ze Lei was to ask Shan Cai to marry him, so Dao Ming Si bought a "Meteor Ring" which Shan Cai had led her eyes on, and prepared to propose to her in a church which had special meanings of "love". But, on the way to the church, Dao Ming Si had a car accident which had caused him to loss his memory and he met Xue Er at that time, who helped and looked after him. The sudden disappearance of Ah Si had caused Shan Cai to worry, so she asked Jing to help her. F3 came to Spain immediately after they heard the news. What follows is a story full of ups and downs as Shan Cai tries to find Dao Ming Si and help him regain his memory, but a person gets in the way of their love as Dao Ming Si falls in love with another woman in his new life as Ah Xing.